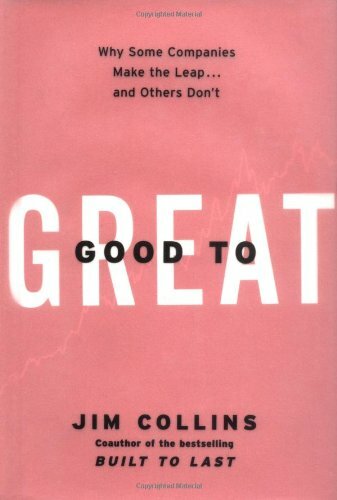 In his book Good To Great, author Jim Collins explains that “Good is the enemy of great.” It is all too easy for us to grow complacent with things that seem ‘good enough.’ The consequences of this can range from a loss of market share to business failure. This has always been true, but never more so than it is today. Why? Because technology advances at an ever increasing rate, which means the period of time from ‘new and different’ to ‘old and boring’ shrinks with each passing year. This is not to say that such mainstays as best in class customer service and attention to the needs of your patients are no longer important. On the contrary, they are more important than ever. That’s because a consequence of this increased rate of technological advance is a higher standard of care when it comes to “customer service.” In other words, if you think your current level of attention to the needs of your patients, both current and prospective is ‘good enough,’ think again. Another way to help ensure practice growth is to increase your willingness and ability to understand what motivates members of the demographic group known as Generation Y, and adapt your communications and compensation accordingly. This group, raised on the Internet, is better educated, less brand loyal and more focused on quality and speed of delivery. This spells both opportunity and challenge for your team management and motivation skills. Our company is committed to what we term “I.C.A.N.” that is, Improvement that’s Continuous And Never-ending. A poignant example of this is in our work with social media for dentists. At this time, ‘the rules of the game’ and what constitutes an optimum social media presence are changing at an astounding rate. Case In Point: I was invited in September, to make a presentation to a group 4 months later on social media strategies and nearly drove myself crazy reworking the presentation to ensure it was ‘current.’ While the pace of change required to remain in the vanguard of dental patient service may not be quite that great, I do suggest as a worthwhile investment of time adding a “What’s New” section to your team meetings. You and your team then have an opportunity to share updates and suggestions on how to improve the patient experience in your practice. And do not think that, once you’ve implemented a change, you are stuck with it. Experimentation is a key ingredient of improvement and that elusive goal called perfection. Just be sure to give each (hoped for) enhancement a fair chance to demonstrate its value. If ninety nine people love it, and one does not, remember not to set or change policy on the exception, but rather, on the rule. What this means for your practice is to be ever on the lookout for better ways of doing and packaging what you do. You need not be an ‘early adopter’ of technology. From your patient’s perspective, offering the ‘latest and greatest’ will probably not warrant the premium price you are likely to pay, as well as the ‘growing pains’ you’ll likely encounter, by being by the first to adopt a new technology. But you can and should keep yourself apprised of shifts in the preferences of your target audience(s). For example, are you communicating with current and prospective patients in ways in which they wish to be communicated? Is your service offering consistent with what patients value? On the ‘back office’ side, are you learning about ways to reduce your cost of practice while maintaining high standards and perceptions of quality? Submission of online dental patient forms is an excellent way to simultaneously reduce the time and effort involved with enrolling new patients while providing a valuable benefit to your patients. One of the simplest and most cost-effective ways to keep up with what your patients want is through the use of surveys. These can be mailed or distributed by your team to your patients, but why not save time and money, while simultaneously offering another technology-based convenience to your patients, namely, emailed and online patient surveys?